Optimum health care based on sound scientific evidence demands the use of the best research methods available. The chapters based on these reviews are a distillation of the most up to date information that everyone involved in health services research should have. Each one provides practical recommendations, and the research evidence is illustrated by case studies. 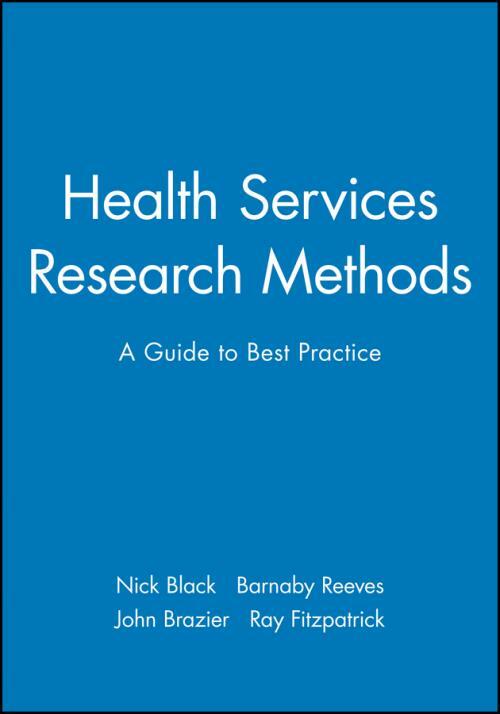 Health care researchers from those in primary care to those in specialized fields will find this a highly readable and practical guide to the approaches they should be taking. Part one: measurement of benefits and costs. 3.The use of health–related quality of life measures in economic evaluation. 4.Collecting resource use data in clinical studies. 5.Designing and using patient and staff questionnaires. Part two: Methods of evaluating health care. 6.Choosing between randomised and non–randomised studies. 7.Comparison of effect sizes derived from randomised and non–randomised studies. 8.Factors that limit the number, quality, and progress of randomised trials. 10.Implications of sociocultural contexts for ethics of randomised trials. 11.Evaluation of health care interventions at area dn organisation level. 12.Qualitative methos in health services research. 13.Statistical methods: good practice and identifying opportunities for innovation. 14.An introduction to bayesian methods in health services research. 15.Quality of life aassessment and survival data. Part four: Presenting, interpreting, and synthesising evidence. 16.Systematic reviews of randomised trials. 17.Handling uncertainty in economic evaluations of health care interventions. 18.Consensus development methods for creating clinical guidelines. 19.Horizon scanning: early identification of new health care technologies. 20.Evaluating new and fast–changing technologies. I What does "systematic" mean for reviews of methods?. Ii Different types of systematic review in health services research.